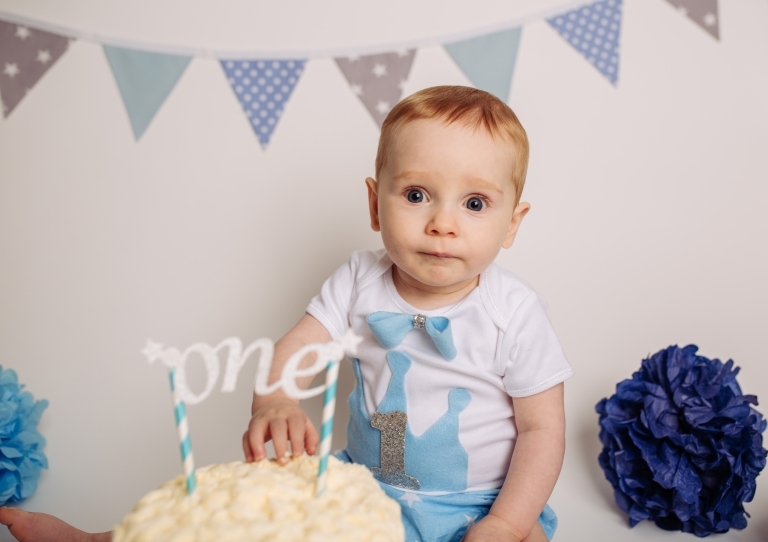 Cake Smash Sessions are perfect for children aged from 10-24 months and a really fun way to celebrate your child’s birthday. Sessions take place at my Accrington home studio and include both the cake smash photo shoot in an outfit brought by you and also a splash session, a really fun bath time in a tin bath and chance to get cleaned up after the session. Splash session- a tin bath with bubbles which is both fun and chance to clean your sticky child before you leave! Get in touch using the form below or email me at kathryn@deliciousphotography.co.uk. Weekdays/Evenings and Weekend appointments available.